I'll be posting some Legends Pack DLC races as soon as I can. You can start tuning the Legends Pack DLC cars as I plan to have no performance index limitations in these races. 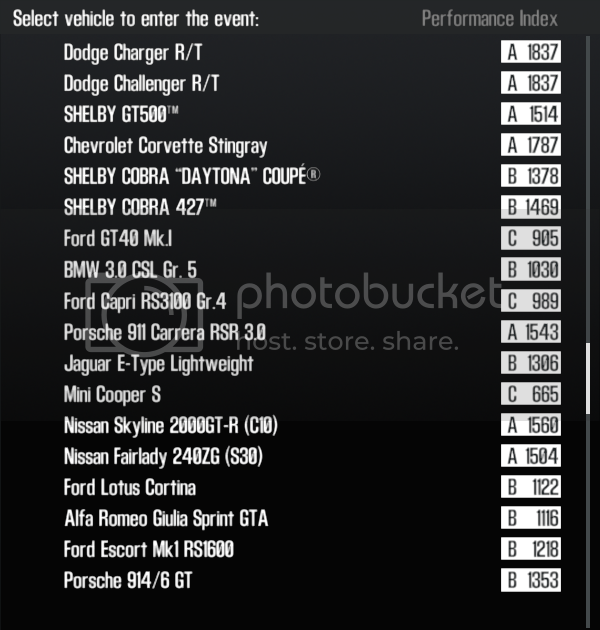 Let me know, if you can get higher PI for any of these or if I missed some car completely, OK?